OTTAWA -- Statistics Canada says municipalities issued $7.3 billion worth of building permits in May, up 4.5 per cent from April. The agency says it was the fifth consecutive monthly increase and was generated mostly by the residential sector in Ontario and the non-residential sector in Quebec. Nationally, residential sector permit values increased 4.2 per cent to $4.6 billion in May. The value of residential building permits was up in seven provinces, led mostly by Ontario, Alberta and Nova Scotia, while British Columbia posted the largest decline. 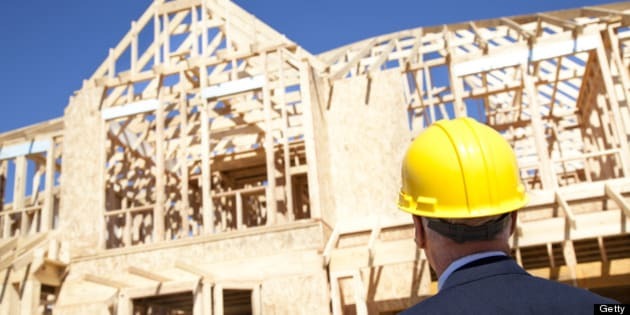 In the non-residential sector, the value of building permits rose 5.0 per cent to $2.8 billion. Quebec, Ontario and Manitoba were behind most of the growth at the national level, with declines recorded in Alberta, New Brunswick and British Columbia.